Perth Pest Control eliminates Wasps fast. Control your Wasp problems guaranteed. Very similar to a Bee, Wasps have a nasty sting and if disturbed will attack in numbers. Unlike a Bee, Wasps are able to sting multiple times without being affected. Wasps nest flourish in mid summer and can reach a considerable size some larger then basketballs. It is common to find wasps nests under roof eaves, behind shutters or in garden sheds. 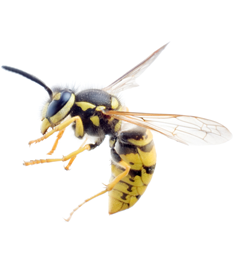 You can usually locate a wasps nest by watching the flight path of returning wasps. Wasp control should not be attempted at home unless you have someone who knows exactly what they are doing. A wasp problem is generally a struggle for the average homeowner to keep under control. Let BP Direct Pest Control help with your pest control problem today!